You’re making it a point to not sign a new apartment lease until you find the perfect complex. Maybe it needs to have a pool, fitness center, or other community amenities. Then it hits you — wherever you live next must also be the right fit for your furry friend. This should hopefully come as no surprise for dog owners. If you ever lived with your pooch in a house before moving into an apartment, he or she probably had lots of room to roam. So be prepared for an adjustment period as Fido gets used to the new digs. This is where the importance of regular exercise comes into play. Since your dog will be confined to a smaller space, be sure to get them outside as often as possible. Whether it’s taking them on walks, playing games of fetch, or heading to the local dog park, your pup will appreciate the frequent exercise. Just because you’ll be living in a smaller space with your pup doesn’t mean they shouldn’t have their own haven. Soon after getting settled in at your apartment, pick out a spot where your companion can wind down and relax. Add a dog bed, some toys, as well as their food and water bowls to help them feel at ease. 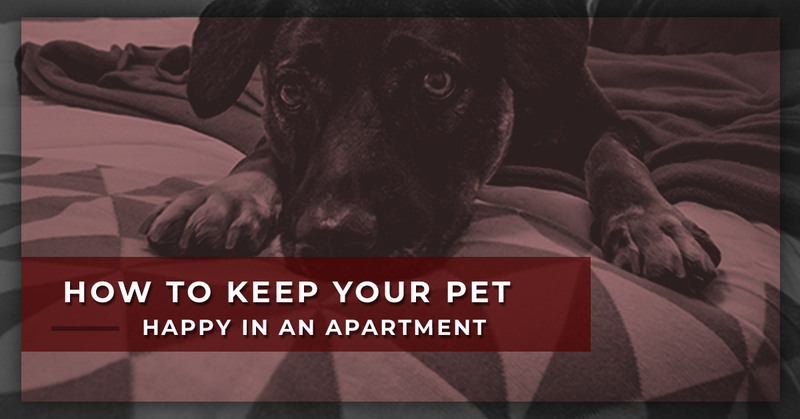 This is even more important when you and your pooch live in an apartment complex. Since most complexes have a shared outdoor space, Fido should be up-to-date on vaccinations and parasite preventative medications. Plus, if another resident ever accuses your dog of biting them or their dog, you will need to have proof of current vaccinations. Just like humans, dogs are creatures of habit. Do whatever you can to make a routine for both you and your furry friend. Maybe it’s waking up at the same time every morning, taking them for a long walk, and feeding them before heading off to work. Try taking them on another walk once you get home before giving them dinner. This is another big one. While you might not mind the occasional barking from your dog, there’s a good chance your neighbors will think differently. So be courteous and remember many people are sharing the same space. There is no definitive answer as far as how long it takes for a dog to become accustomed to their surroundings. That said, training should be made a priority. The last thing you want is to become the “noisy neighbor” among other residents because of your dog. As you may already know, it can be difficult to find well-maintained apartments that allow pets. At Gateway Place Apartments, we pride ourselves in being a pet-friendly complex. Not only do we allow two pets per apartment, but we have a private, extra-large dog park on our grounds. We invite you to check out our pet-friendly apartments in person! 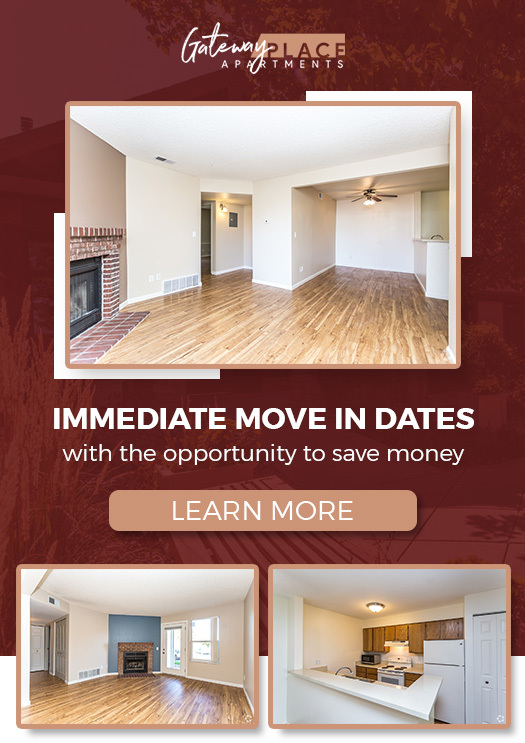 Contact Gateway Place Apartments to schedule a tour. ©2018 Gateway Place Apartments - Do not copy. All rights reserved.